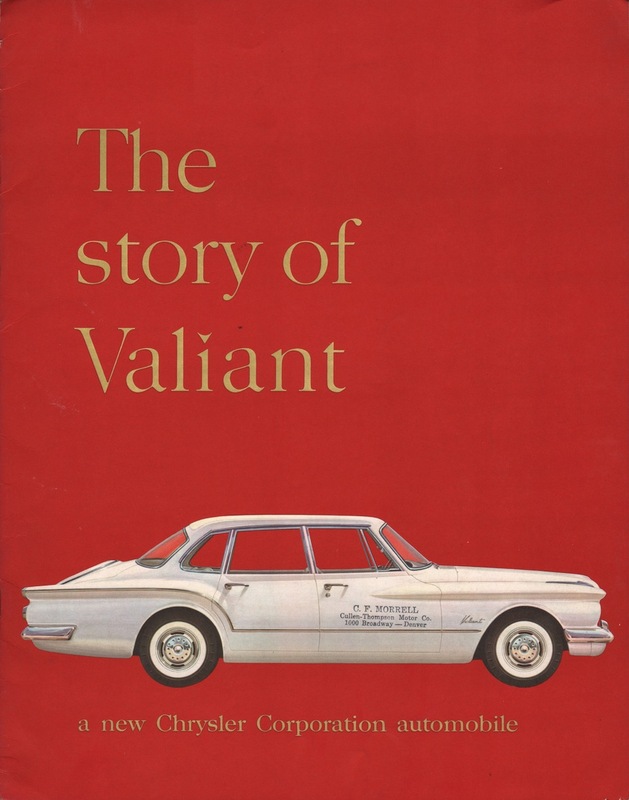 Huge size promotional book for the 1960 Chrysler Valiant with 101hp, 170ci, 6-cylinder. There is a V-200 4-door sedan, V-100 4-door sedan, V-100 3-seat suburban, V-200 3-seat suburban, V-200 2-seat suburban, and V-100 2-seat suburban. The V-200 has many interior upgrades.